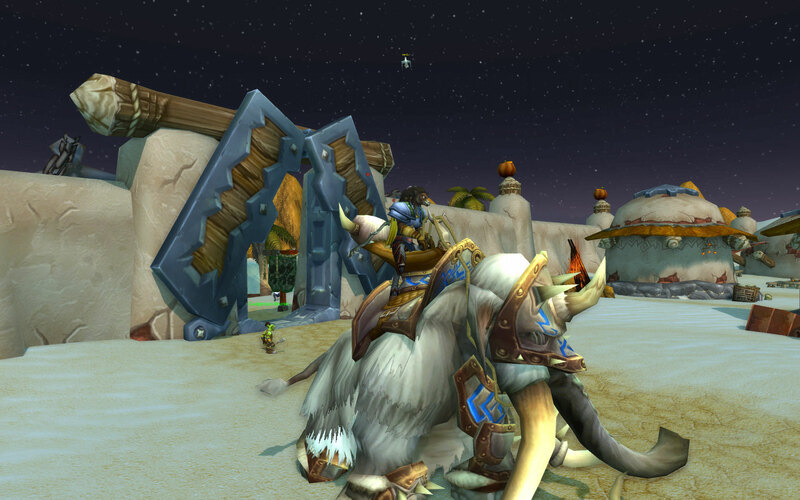 Home » Games » My return to WoW, the 2013 edition. My return to WoW, the 2013 edition. Twenty Seven days ago, after a 28 month hiatus, I returned to the the World of Warcraft. All of that thinking got me to sitting at my computer looking at a list of all my characters across several different servers hovering over the subscribe button. Next thing I know I’m in game making a new character. I made a Worgen, a race I have never played and I picked a class, Druid, that I had played to sort of compare how I remembered things to how things are now. Then with no mods installed I played a bit over four hours. I thought I would stop before that, but I nope I played until my eyes would not stay open. I ended that night in Darkshore as a level 14 druid. I went to bed, very impressed that the game could still pull me in like that. I woke up thinking about my class choice, I have played a druid up to 60 twice before. I enjoy the class a lot, but since I don’t know how long I’ll stick with my return to the game I think it might be nice to try a class that has never really hooked me before. So I start thinking about all the classes and I recall that at my height of WoW playing, I was healing priest while a friend of mine played a tank pally. I have always admired her ability to tank large groups of enemies. I’ve tried paladin a few times before, but it never grabbed me but this time I decided I was going to really focus on learning it. And as it turned out, I had a level 14 alliance pally on this server. Also for the record I do also have a level 60 priest and rogue on this server, each with a small bit of money, so I was not starting from complete nothing and was able to buy some bags. As I buy the bags and start organizing banks and bags on all the characters I realize I can’t move some UI elements. /sigh Oh ya, Blizzard has left the WoW ui back in 2004. This led to the next four hours of pure modding joy as I downloaded, installed, tested, configured and finally settled on a bunch of mods. While I wish Blizzard would update the default ui to make it more customizable, at least they have always (mostly) allowed us to mod. The next few weeks I spent hopping on every night swapping back and forth between the pally and druid. Most of this time I spent soloing and enjoying doing quests and leveling up, but a few nights I grouped up with a couple of friends and had I started to really feel the game’s magic. It feels like I am play a brand new game, built upon the body of an old game I loved; and it was working. The lore, the characters, the combat, the world, It was all pulling me in. Both of my new characters are now right around level 50 and I found myself looking at crafting professions, managing my bank and auctions, investigating into ways to move some of my hard Horde wrought wealth over to my new alliance characters. Yep, I think I’m hooked. I discovered the amazing world of Pet Battles. Sure I had heard about it, but really did not see the appeal until I tried it myself. /hooked. Turns out World of Warcraft is still pretty darn good, and I’m definitely back for at least another month or two. Granted there are some pretty big things happening in video game world over the next month, but I suspect I will still try and log into WoW. ← Firefall stole my time.